To help plant managers conveniently address lockout/tagout requirements for various equipment and tasks, IDEAL is now offering a comprehensive Plant Facility Lockout/Tagout Kit that keeps all necessary devices in one place. 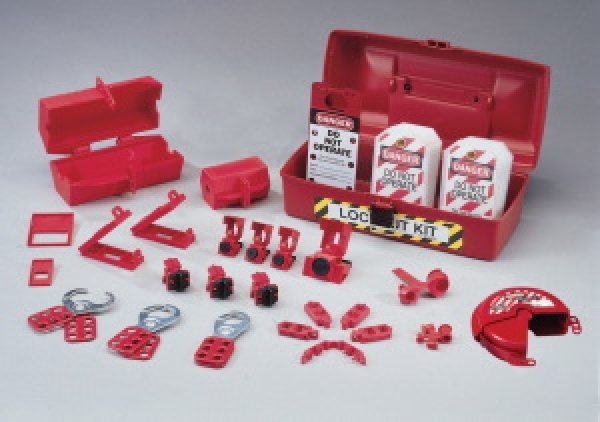 Housed in a red polypropylene plastic toolbox, the kit contains lockouts for 277/480/600V breakers, plugs, valves, wall switches and multi-pole breakers; fuse blockouts, safety hasps, and multiple "Do Not Operate" lockout tags. The toolbox resists oil and chemicals common in industrial facilities, IDEAL said. In addition, IDEAL has a complete line of bi-lingual (English/Spanish) safety signs, flash protection labels, and tapes that comply with OSHA regulations for identification of potentially dangerous installations, the company said.